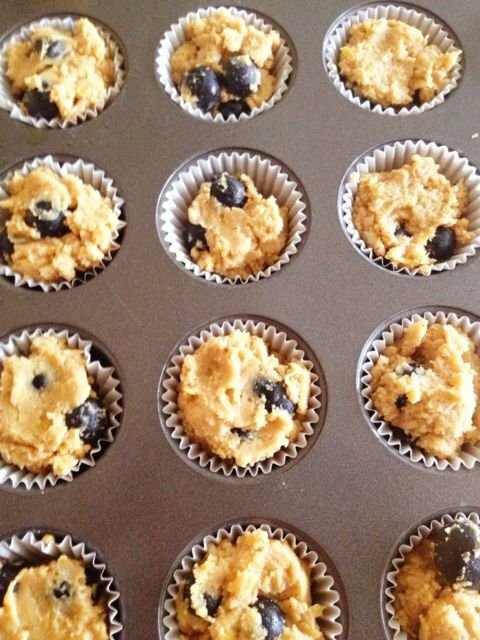 These little bites are the perfect healthy treat because they are gluten free, dairy free, and they are protein muffins! Not to mention these little bites pack a flavorful punch. The mix of fresh blueberries and lemon zest is such a magical combination. I love using protein powder in fruit smoothies as a post workout snack, but after purchasing Perfect Fit, there are so many recipe ideas and I just had to try one out! 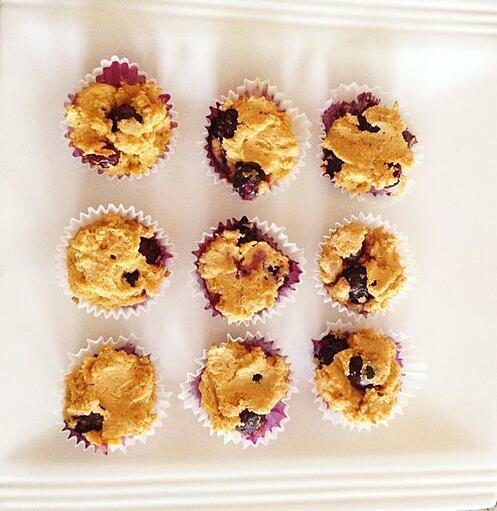 These muffin bites are adapted from this blueberry zest muffin recipe. After following the recipe, my muffin batter came out pretty thick so I decided to improvise and make mini "muffin bites". Emphasize on the bites because these little guys are pretty thick, but oh so delicious! 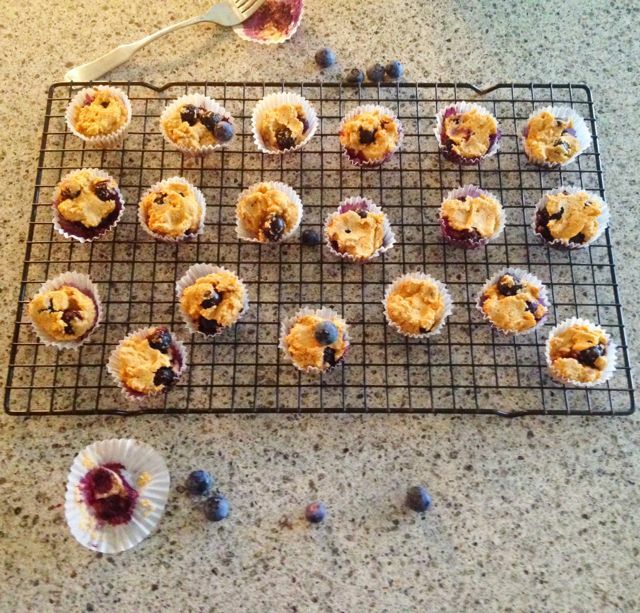 I prepared the blueberry lemon muffin bites in a mini muffin pan. I lined the pan with mini muffin liners and lightly sprayed the liners with cooking spray. Using a teaspoon, I pressed the thick batter into each muffin tin and tried to even the tops of the muffins the best I could. Although the texture was not what I expected, these blueberry lemon muffin bites are bursting with flavor. You can enjoy these both at room temperature and warmed up. Mix together eggs, coconut oil, lemon juice and zest in a small bowl with a blender or hand mixer. 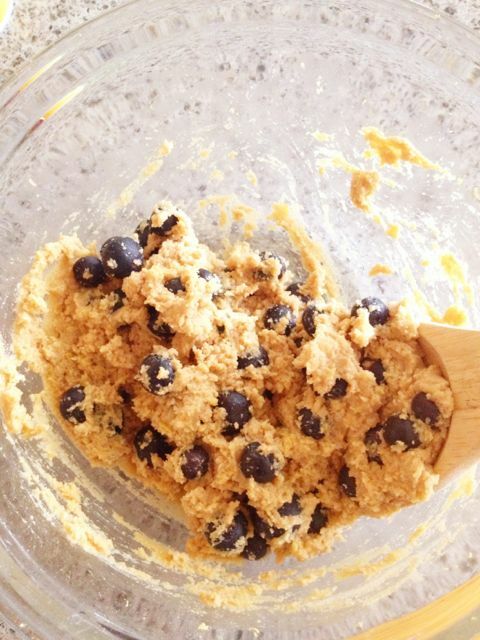 In a separate bowl, combine perfect fit protein, coconut flour, baking powder, salt and mix thoroughly. Then combine the dry ingredients into the wet until there are no lumps. 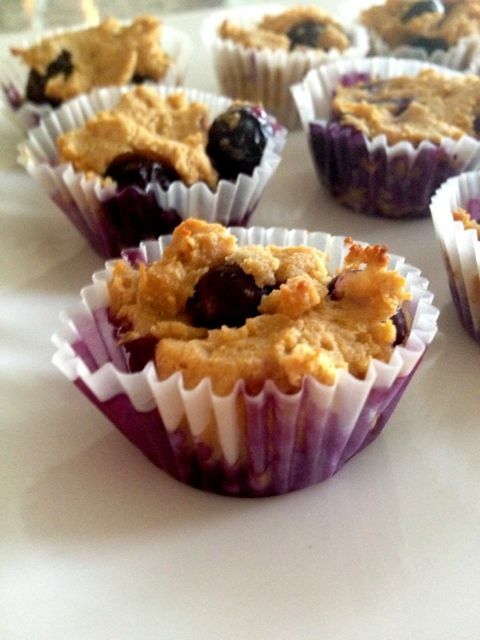 Fold the blueberries into the batter before pouring into the prepared muffin tins. I used mini muffin tins and scooped the batter into the prepared liners with a teaspoon. Cook the muffins for 15-20 minutes or until a toothpick inserted into the center of the muffin comes out clean. Since my muffins were mini, I only cooked them for 11-12 minutes.